Traveling to Norway at any time of year could inspire a detailed packing list – layers are necessary year-round, as is gear for any of the various outdoor adventures that Norway has to offer. But this list is focused on what you'll want to take to head north of the Arctic Circle in the winter months. It doesn't get as cold in the Norwegian Arctic as it does in neighboring Finland (thanks to the warmer currents coming in off the Atlantic), but you'll still want to prepare for temperatures below freezing. 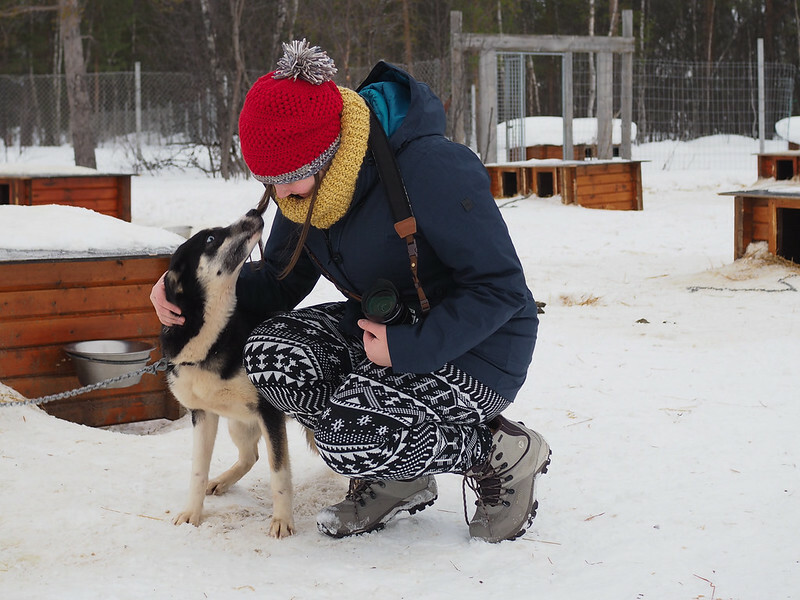 Whether you're going on a dogsledding trip, sleeping in an ice hotel, or just planning to walk around outside in cities like Alta or Tromsø, you'll want to have a warm base layer close to your skin. I especially love the turtleneck – it fits great, is nice and long, and did not get smelly at all even after I wore it daily for almost a week. Base layers are all well and good, but you'll need a mid-layer, too, so you aren't sitting around in your long underwear when you take your coat off. On top, my go-to mid-layer is either a down vest or fleece – for Norway, I paired my turtleneck base layer with a North Face fleece (the Agave jacket is my current favorite) on top. On the bottom, a pair of comfy leggings is usually what I turn to, as jeans are typically just too bulky. You could opt for some fleece-lined leggings, or maybe cute printed leggings made from sweater material. You'll want good outerwear, too. I have a pair of Columbia ski pants that I LOVE, and also have a long, tri-climate coat that is a great winter go-to. If you're looking for an outer layer that's warm AND packable, I also have a Cocoon Coat from Rohan that's a great option for when you need to be able to stuff that outer layer into your suitcase. *A note on boots: You may want to buy at least a half-size bigger than you normally wear to accommodate for thick socks AND to make sure your toes have room to move. The tighter your boots are, the faster circulation to your feet gets cut off – and the sooner your feet will get cold. Another thing to ensure warm feet is to have a good pair of socks. I got some Heat Holders for this trip, which are true to their name – SO warm! These socks are super thick and super soft on the inside. My toes never once felt cold, and I highly recommend these for any winter activity. Because Norway's Arctic cities are mainly found along the coast, this means that they can often be really icy. Tromsø heats some of its sidewalks to shed them of snow and ice, but that doesn't mean you won't find slippery patches (I may or may not have fallen in Tromsø three times while crossing the street…). To combat this, you may want to throw a set of Yaktrax in your bag. These attach to the bottom of your shoes to help you get better traction on snow and ice. 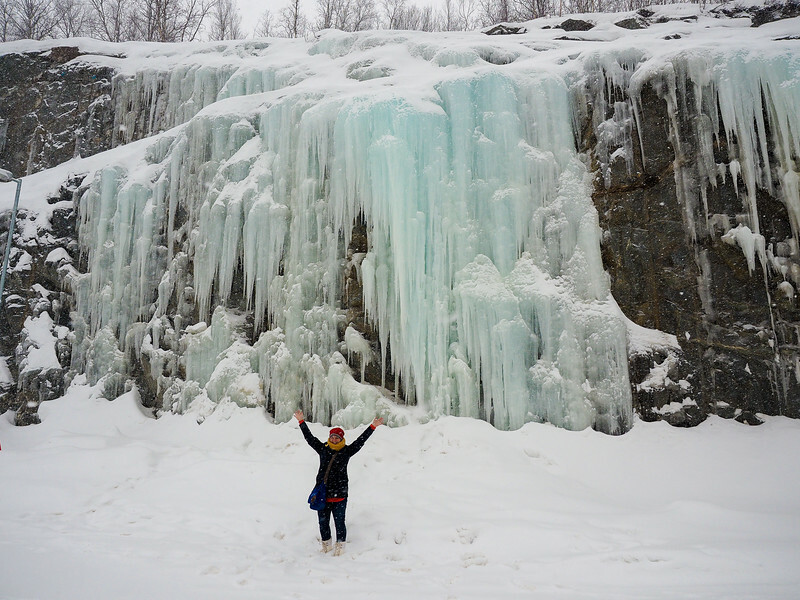 Fellow blogger Kristin Repsher has written a really great guide to Lapland and Northern Norway in winter. If you'd like to read more about the destinations, weather, customs, accommodation, and more, this guide is worth investing in. She also has a whole section on Northern Lights photography. Even though it’s not a tangible item, I also always recommend packing a good travel insurance policy. That way everything from lost luggage to a bad accident is covered – because you just never know! I recommend World Nomads for basic (and really affordable) travel insurance. 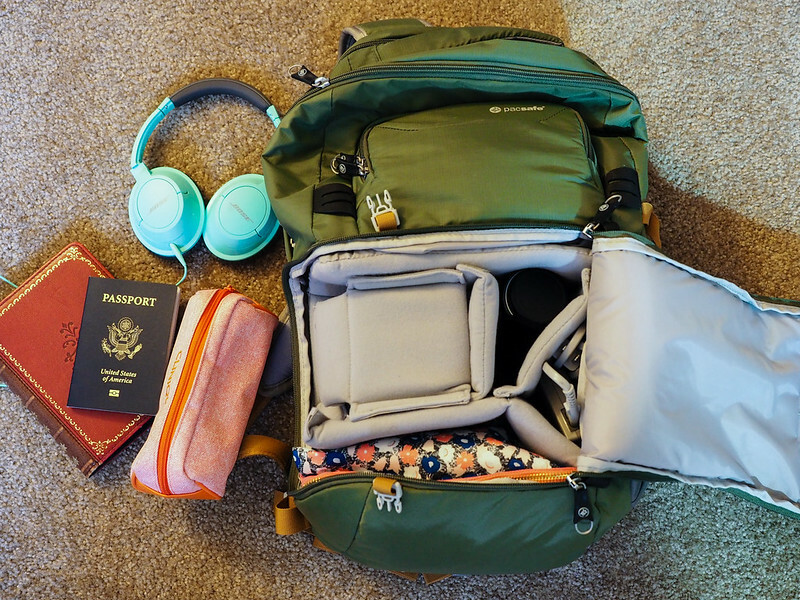 The bag I travel with the most is a soft-sided rolling bag by Osprey. This bag has traveled around the world with me for 5 years, and is still in excellent shape. My carry-on these days is photography focused – the Pacsafe Camsafe V25, which has a dedicated compartment with separators for camera lenses and gear. It also has an upper section in which to pack other things, like my Kindle and purse. 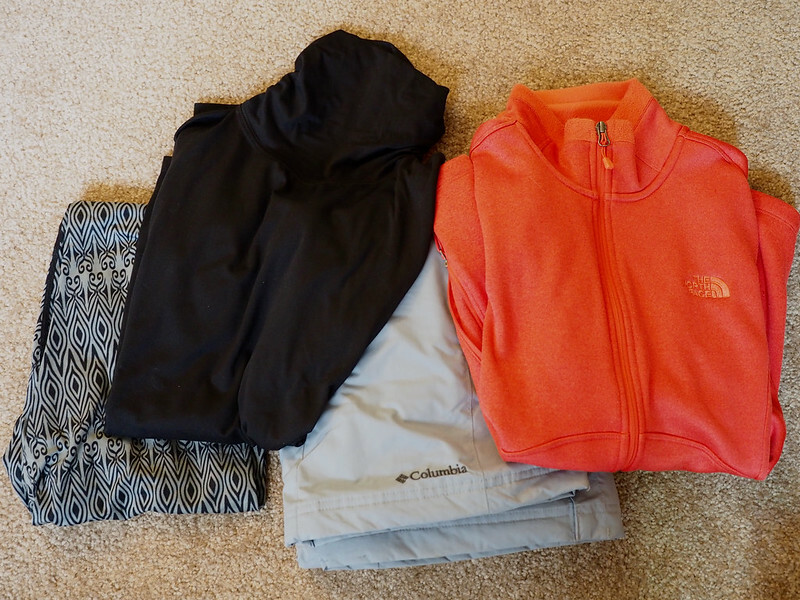 It's true that my packing list is geared towards women, but my packing guidelines for men are pretty much the same: Warm, waterproof layers are where it's at! Anything else you would pack with you for a trip above the Arctic Circle? What a helpful post! I will most definitely reference this post when packing for winter trips. In Europe it honestly doesn’t get as cold as most people expect it to get. I was in Germany in January and only needed a long sleeved tee and a hoodie. Though I would expect that Norway is quite a bit colder than Germany, and the months of February and March would be colder. Great post with some good products I’ll refer back to whenever I need gear for seriously cold places. Thanks! Always happy to help! I love writing these packing posts. Happy to be able to help! 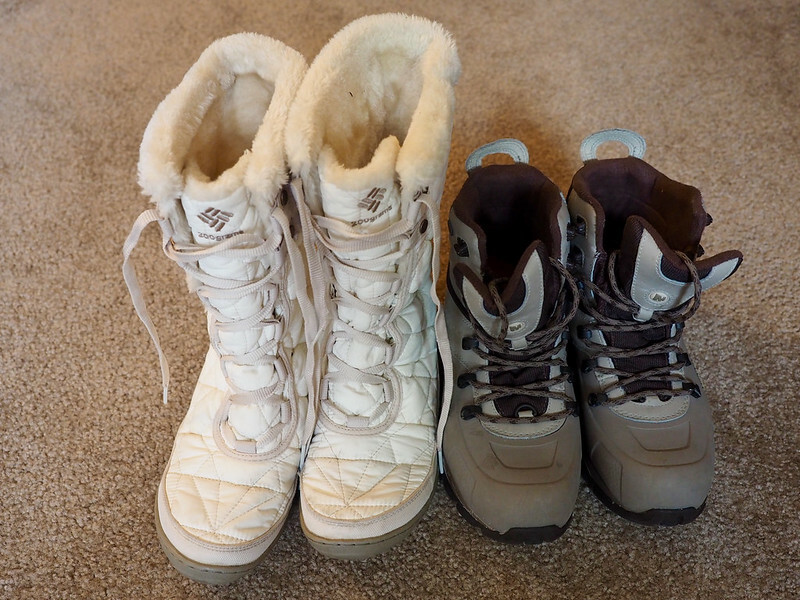 My packing list for Iceland was very similar to this – it has all my go-to winter gear! I really want to make a trip to Norway soon, this will really come in handy! Super helpful! I need to get my hands on those cloud nine pants. Thanks for sharing, Amanda! The leggings (and turtleneck especially) have come in handy on so many trips! In fact, I brought the turtleneck on my current trip in the US Southwest and have worn it a couple times on early morning hikes since it’s been cool! Haha, we were looking forward to this article so much! 🙂 Reading all of your cool winter adventures our only concern when thinking about visiting Norway or Iceland in winter is the cold. 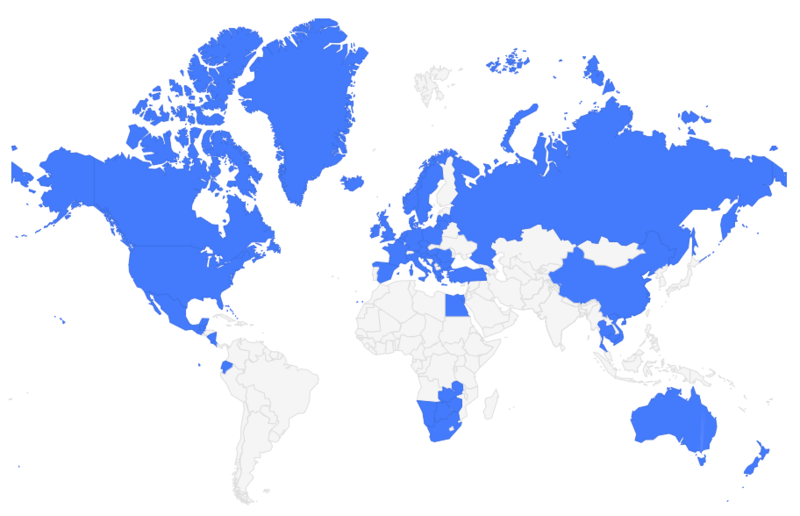 Because we are the summer types of people, hot is much better than cold for us and most probably this is the reason why we have never ever thought of visiting the northern part of the globe in winter… until we read all of your stories. 😀 Thanks for the details tips, they will be great help when planning our winter trip! It’s a great destination any time of year – but winter in Norway really is special! Good stuff! I’d like to head out to Iceland sometime this year to go chasing the Northern Lights so this does help. I thought bracing myself for a Canadian winter would be rough, haha. I’ve seen great Northern Lights in Canada, but yes, it was SO COLD. Norway and Iceland are more temperate – good luck in Iceland! I’ve been there twice in the winter, but sadly have never seen the lights there. Hi Amanda, A quick note of thanks for this amazing travel tip. I ordered the Yaktrak, and I was super confident on my feet, no slipping or sliding in Alta. I love that place, would return in a heartbeat! That’s awesome to hear! So glad you found this list helpful – and that you loved Alta! I think fleece-lined leggings under jeans would work just fine (especially if you already own them)! And no, I wasn’t on the Hurtigruten – I was just traveling with a friend! Most tour companies in Norway will indeed provide you with full snow suits and even thermal boots for excursions, but I didn’t find the same in Iceland. In Iceland you were expected to have your own winter gear! Thanks so much! Coming from a hot climate I don’t think I can overpack for a wintery Norway! Haha, probably not! You’ll need all the layers you can pack! The Heat Holder socks are not bad, but I prefer Merino Wool socks. They are soon warm, and they keep my feet dry by wicking the moisture away. I never leave the house without them whenever I have to venture outside during winter. Merino is a great option – but I’m allergic to wool, and sometimes merino makes me itchy, too! So I’ve tried a lot of non-wool alternatives. Of those, Heat Holders are definitely my favorite! Anyways, I am looking for good ski pants for my husband. I want to make a Christmas present for him. I’ve searched online and found these Mammut Bormio HS Pants (number 2 on this list: http://www.bestsnowgear.com/best-mens-skiing-pants/). Could you tell your opinion on the pants mentioned above? Is the price worth it? Thank you for all your great suggestions on Norway in winter, and this excellent packing advice. I am planning a trip in February with my daughter and hope to follow many of your suggestions! Great article! I’m strongly in favor of the silk baselayers. Good for changing into/out of, on a flight from/to a warm country, as they take so little room in the carryon. Hat, scarves, gloves? I like my polartec-lined Buff as a hat, headband, and scarf. A thin silk scarf next to the neckworks wonders,you can wrap a pashmina wool scarf over it to warm the upper neck & area under the chin. Still looking for the best pair of waterproof windproof gloves, maybe gloves with liners? Silk base layers all the way! And yeah, gloves can be tricky! I usually go the liners + gloves or mittens route, simply because that makes it easier to take the top layer off to take photos! For this trip, I wore my lighter boots and my bulky coat on the plane, but packed everything else (like snowpants, hats, bigger boots, etc.) in my checked luggage. Most winter coats can be easily stuffed into an overhead locker.